Need date night ideas? Check out this week's lineup of acclaimed movies showing on the big screen in and around Durham. 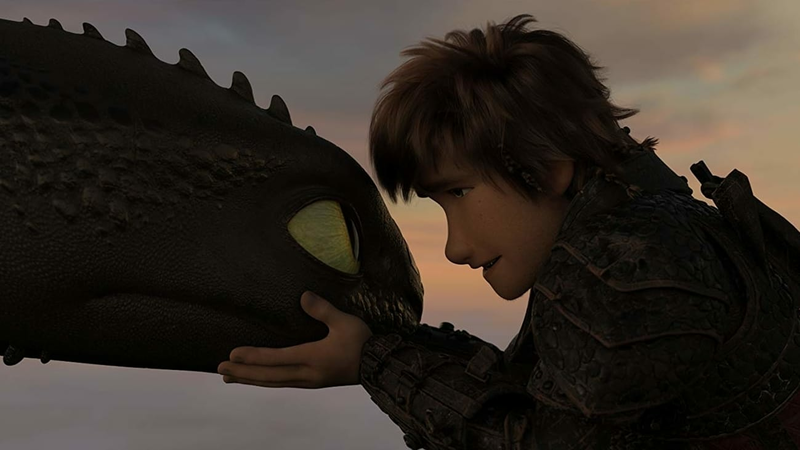 Want to catch an early screening of "How to Train Your Dragon: The Hidden World"? The family-friendly flick already has a critical approval rating of 99 percent on Rotten Tomatoes, with a consensus that "The rare trilogy capper that really works, 'How to Train Your Dragon: The Hidden World' brings its saga to a visually dazzling and emotionally affecting conclusion." You can catch it at AMC Classic Durham 15 (1807 Martin Luther King Parkway) starting on Friday, Feb. 22. Click here for showtimes and tickets. It's screening at AMC Classic Durham 15 (1807 Martin Luther King Parkway) through Thursday, Feb. 21. Click here for showtimes and tickets. With a 93 percent critical approval rating and an audience score of 78 percent on Rotten Tomatoes, "Bumblebee" has garnered plenty of praise since its release on Dec. 21, with a consensus that "'Bumblebee' proves it's possible to bring fun and a sense of wonder back to a bloated blockbuster franchise -- and sets up its own slate of sequels in the bargain." It's screening at AMC Classic Durham 15 (1807 Martin Luther King Parkway) through Wednesday, Feb. 20. Click here for showtimes and tickets. With a critical approval rating of 79 percent and an audience score of 94 percent on Rotten Tomatoes, "Green Book" is well worth a watch. The site's critical consensus has it that "'Green Book' takes audiences on a surprisingly smooth ride through potentially bumpy subject matter, fueled by Peter Farrelly's deft touch and a pair of well-matched leads." It has multiple Oscar nominations, including nods for Best Picture and Best Lead and Supporting Actors. You can catch it at AMC Classic Durham 15 (1807 Martin Luther King Parkway) through Thursday, Feb. 21. Click here for showtimes and tickets.